Science diplomacy has long been a tool to develop bilateral and multilateral relationships. However, the definition and applications of science diplomacy have broadened considerably in recent years. This conceptual broadening coincides with the growing understanding that science and technology underpin so many of the challenges and opportunities that current societies face, whether as a driver or a potential solution. Integrating science into foreign policy to not only advance national interests but also to tackle shared global challenges is an appropriate response. In this context, S4D4C organized the 1st Global Meeting on Science Diplomacy titled “EU Science Diplomacy beyond 2020” in Madrid in December last year. 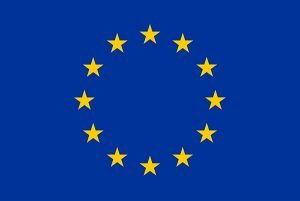 At this event, experts from around the world discussed the present and future of science diplomacy, its fundamental role in addressing global challenges and the requirements to harness its full potential in the EU and beyond. As a result of these fruitful discussions this “Madrid Declaration on Science Diplomacy” was signed by a group of high-level experts who contributed to the conference. It proclaims a common vision of science diplomacy in the future, emphasises the benefits science diplomacy can bring to tackling the global challenges of our time and outlines the principles needed to foster science diplomacy worldwide. 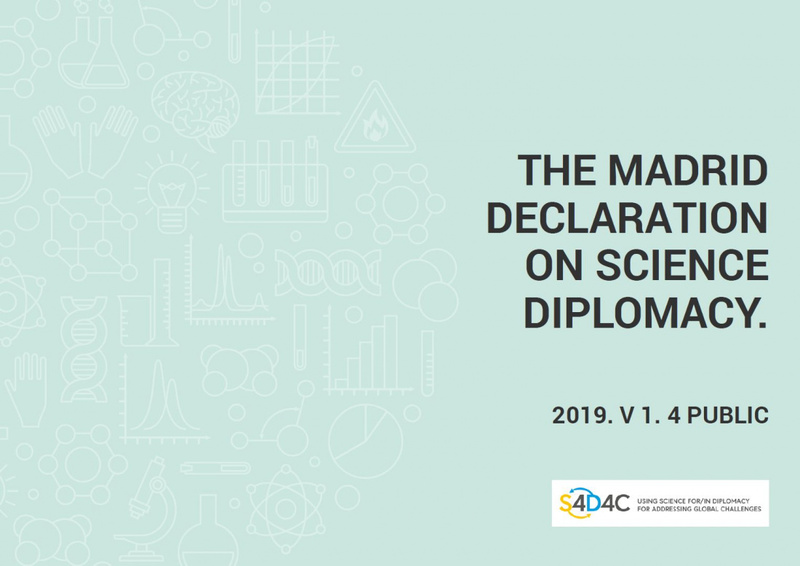 The “Madrid Declaration on Science Diplomacy” aims to foster agreement and raise awareness about the need to strengthen science diplomacy strategies and practices world-wide for the support of universal scientific and democratic values. These strategies are required to suitably include science and technology as key dimensions of foreign policy and international relationships at different political levels. This confluence of interests must be in the benefit of both the scientific endeavor as well as legitimate broader political and societal objectives. Science diplomacy, in the context of this Declaration, is understood as a series of practices at the intersection of science, technology and foreign policy. The renewed interest in science diplomacy comes in response to identified challenges at the interface of science and foreign policy, where a greater scientific voice could both add value to bi- and multilateral discussions and decisions about our shared global concerns. Joint science diplomacy objectives are possible where actors converge around such common challenges. Therefore, science diplomacy goes beyond international science collaboration, as it tackles interests that go beyond the scientific ones and may directly or indirectly serve to advance diplomatic goals. The Madrid conference highlighted the growing importance of science diplomacy on a global level. One important role for science diplomacy, in this regard, is to build bridges between science, technology and innovation practices, national and regional interests, as well as global challenges. More explicit science diplomacy strategies at national and supranational levels would allow for a more effective alignment of interests and a more efficient coordination of resources. Endeavours to address global challenges. Science and technology are global enterprises. Together with other tools in diplomacy, science diplomacy can facilitate the identification of common global challenges. Coordinated scientific efforts can help to address these global challenges. The relationship between global challenges and scientific practices goes both ways. Efforts to achieve the “Sustainable Development Goals” are an example of how global challenge-related policy-making and scientific research must be in constant dialogue. More productive and sustainable international relations at multilateral and bilateral levels owing their interaction with science and technology. The precondition for this is that scientific activities are considered but not appropriated by broader political rationales. Evidence-informed foreign policy supported by science and technology, aiming at substantive and resilient international agreements, treaties and policies. Better conditions for scientific activities due to the contribution of foreign policy agendas. Diplomacy, with the support of the scientific community, has a particular role to play in the implementation of larger scientific initiatives and projects (e.g. research infrastructures, joint programmes, etc.). Improved interfaces between science and public policies. Science diplomacy can contribute to eliminating cultural, sectoral, and knowledge barriers between different actors such as policy-makers, researchers, diplomatic bodies and civil society. Value for citizens: governments, diplomats and researchers are encouraged to acknowledge and demonstrate science diplomacy as a fundamental and universal tool to improve international relations in general. Methodological diversity: consider explicit and implicit types of science diplomacy objectives. This involves acknowledging that not all relevant science diplomacy practices are labelled as such. Putting the science diplomacy label on a given project, programme or policy is a strategic choice. Demonstrable impact: the potential positive effects of science diplomacy need to be measured and recognized. At the same time, there may be unintended side effects that need to be acknowledged and assessed. Public policies not relating to science diplomacy may also have unintended effects in the realm of science diplomacy. Evidence-informed: in foreign affairs-related policies in relevant areas. This knowledge can be content-related (e.g. scientific evidence on climate change, global inequality, cyber security), context-related (e.g. knowledge about a specific innovation system) or process-related (e.g. evaluative knowledge on the effects and the outcome of science diplomacy interventions). Collaboration and inclusion: science diplomacy is a multi-actor effort in which diplomats, scientists and science managers as well as other non- state actors can have a role and can contribute to its deployment. This applies at the local, regional, national and international level. This innovative model brings new governance and coordination mechanisms that need to be managed in dialogue with all stakeholders. Capacity building: All stakeholders involved in science diplomacy will benefit from exchange and suitable capacity building activities. Therefore, cutting-edge, interdisciplinary, intergenerational, interactive training modules are needed. These will enable diplomats, public officials and scientists to cooperate in an efficient way, strengthening future science diplomacy. This capacity building runs in parallel to the need to establish new science diplomacy positions such as science advisors in foreign ministries, scientific staff at Embassies, etc., which will also foster new career paths for science diplomacy professionals. The declaration is intending a truly global reach.If you would like to sign it as well, just send your name, affiliation and motivation to sign to s4d4c@fecyt.es! Download the Madrid Declaration as pdf. Note: The experts promoting this Declaration are signing on an individual basis. Their signature does not mean endorsement by any institution. S4D4C Science Diplomacy Workshops – Call for Applications open!